Our summer is hardly a quiet season. The birds, the cicadas, the clash of waves on baking yellow sands, the tinny tones of radios oozing into the urban air, the singing antics of the Barmy Army, the rev of car engines paused behind red lights, the hum of air conditioners ‒ all are sound cues that the hot season is with us. Another sound cue is the thumping din of the outdoor concert. We have them everywhere. Sydney has its Domain concerts, Melbourne its Myer Music Bowl. Triple-J unfurls its Big Day Out across the land. So unsurprising, perhaps, that Sõrve should start oﬀ the celebrations of its 50th year in a similar fashion. But Sõrve Suurpäev was nocopy cat aﬀair. First of all the line-up. Eda-Ines Etti, Indrek Raadik and Ott Lepland – drawn from the cream of young Estonian music artists of the past ten years, backed up by one of Estonia’s best rock bands ‒ Erki Pärnoja (lead guitar), Siim Mä-esalu (keyboards), Ivo Etti (bass) and Kristjan Kallas (drums), mixed by Terminaator’s legendary Arnold (Arch) Veimer. 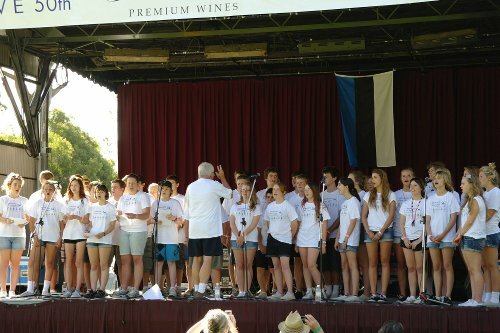 Not only were Ines, Indrek and Ott appearing together for the ﬁ rst time together on stage, but it was also their ﬁ rst time on the same bill as Sõrve’s A and B Group choirs and folkdance troupes, the CGroup dancers, and Sydney’s Lõke and Virmalised with Salmiakki Pelimannit. Part rock concert, part folk festival, this was a showcasing of Estonian culture in its broad diversity. The day in its diversity showed how vibrant things can be when people love what they do ‒ whether they are professionals or amateurs, or just kids giving it their very best shot. The weather was perfect, shaking oﬀ the previous evening’s thunderous rain clouds to remind us how hazy an Australian summer sky can be. 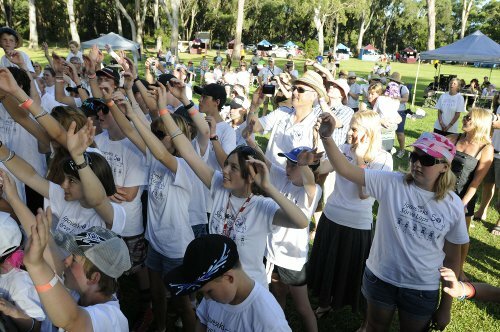 Suurpäev drew a crowd of about 350 people ‒ visitors from Singing and conducting – A group of kids and Lembit Suur.Dancing on the playground.Estonia, Brisbane, Melbourne, Sydney, Thirlmere and many other places. Some were making their ﬁ rst ever visit to the camp, others their ﬁ rst visit for a long time. 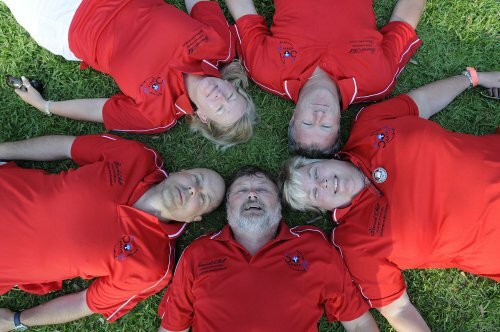 Some had played a formative role in the ﬁ rst Sõrve camp in 1962, as members of Sydney Estonian Saturday School Committee that identiﬁed Point Wolstoncroft as the ideal site for a children’s camp and as parents who organised the ﬁ rst camp. Others were camp leaders or kids who were there in the very early years of Sõrve. An outdoor stage sat at the western end of the large grassed common that deﬁ nes the centre of the camp grounds. The massive eucalypts that have long fringed the area were joined by a temporary sprouting of tents and loudspeakers. The place was abuzz with a mixing of generations. At the foot of the stage, eight-year- olds perched on the shoulders of 18-year-olds, rocking to the ﬂ ow of the music. Further back and seated, eighty-year-olds thought that it was all wonderful, but why did it have to be so loud. This was a happy crowd: mixing and greeting, sharing memories of Sõrve over ﬁfty years, eating Sõrve sub-committee organisers of Suurpäev – Juhan Lübek, Pille Püvendi, Ron Cowan, Maie Pikkat and Mick Nelson.Aino Matwisyk, Peter Maasepp, Madis Alvre, Rein Simmul.Estonian meatballs and paella, visiting an archives display about the ﬁ fty years of Sõrve and the impressive handicraft display, both of which were set up in the old weatherboard library that is one of the few buildings that remains from the early years, and that, despite a makeover, signals familiarity to old-time camp dwellers. People saw people they hadn’t seen for tens of years. Nobody had aged on this day that celebrated youth. The concert was simply fantastic. Ines, Indrek and Ott not only sang from the best of their hits (while Indrek’s back catalogue of hits now spans two decades, 23-year old Ott’s barely spans the last two years). Ines sang her 2000 Eurovision hit Once in a Lifetime, Ott his 2009 Eesti Otsib Superstaar’i winning number I will talk and Hollywood will listen, Indrek included some iconic songs from his Tuberkloited years, including the legendary Lilleke rohus. And movingly, they did cover versions of some of the Alo Mattiisen songs made famous by Ivo Linna in the late 1980s, and Rein Rannap’s Eesti muld ja Eesti süda. The crowd adopted their favourite stars, in one case even oﬀ ering a multiparty proposal of marriage, and jived, chanted and cheered to the wall of sound that, for the ﬁ rst time in the Sõrve’s long history, belted the cicadas into second place. The day gave occasion to celebrate the contributions of particular people to the camp through the inaugural Sõrve Lifetime Achievement Awards. These went to Rein Simmul, Madis Alvre, Peter Maasepp and Aino Matwisyk. 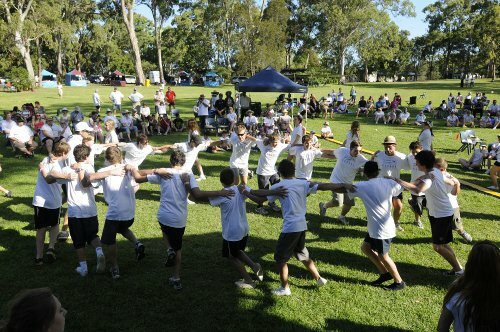 It also gave occasion to say thanks to the many groups and people who have supported Sõrve over the years ‒ the various Estonian community organisations who nurtured and supported the camp in a range of ways; the many private benefactors to and sponsors of the camp; the fantastic NSW Sports and Recreation staﬀ at Point Wolstoncroft (who were there in force, including from the past, to celebrate the day); members of the various committees and leadership teams who have been custodians of Sõrve over a period of time that now embraces four generations; and the grandparents, parents and kids who have given the camp its very essence and spirit. 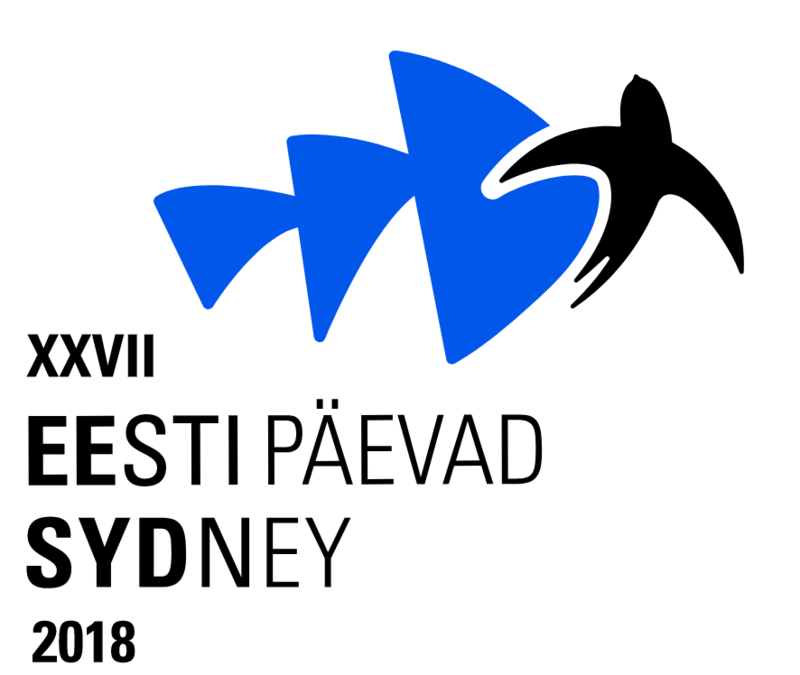 In many ways, Sõrve stands as one of the proudest and most enduring achievements of the Estonian community in Australia and it has the potential to see another 50 years with the right support, spirit and eﬀ ort from the community. The day was made possible by the eﬀorts of an organising committee that worked tirelessly for over a year. 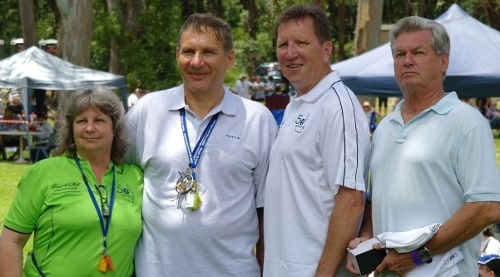 A clammy summer hug goes to Ron Cowan, Juhan Lübek, Mick Nelson, Maie Pikkat and Pille Püvendi for making this a big day out for the whole Sõrve family. What a party!